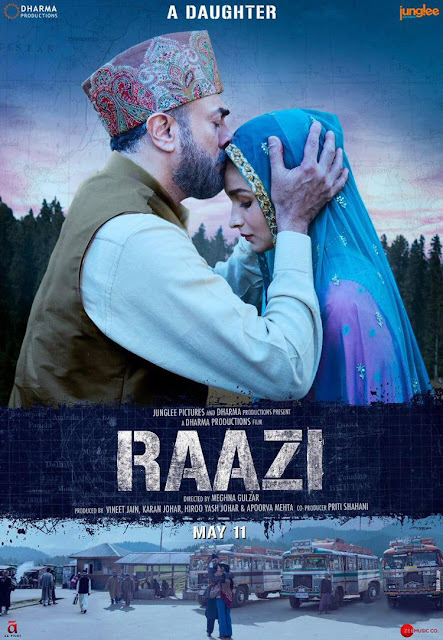 Raazi is an upcoming period thriller film which is directed by Meghna Gulzar and produced by Karan Johar. The first look and poster of the Raazi film have released now. 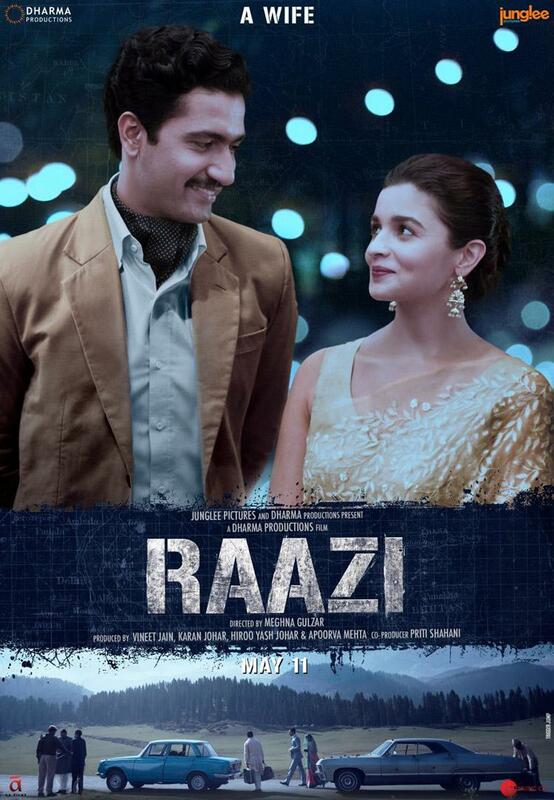 Beautiful actress Alia Bhatt and talented actor Vicky Kaushal are playing the main lead role. 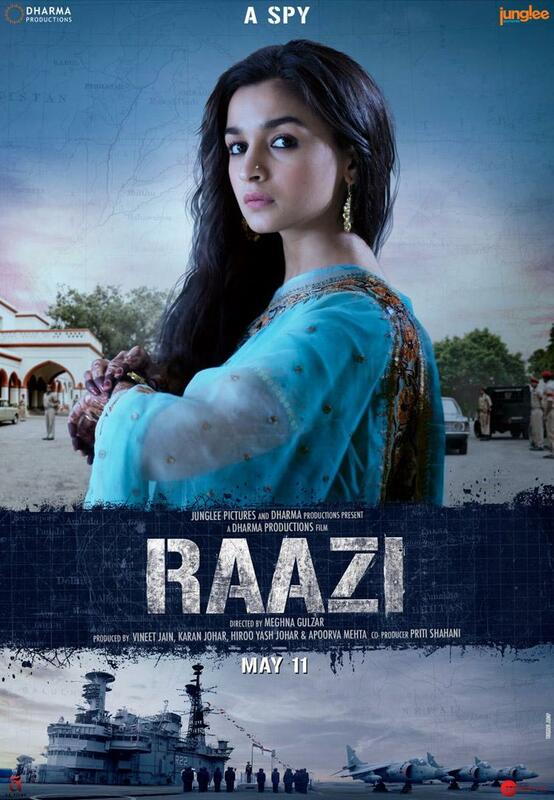 This is the another most awaiting movie of Alia Bhatt. She is already given many hit movie like, udta Punjab, Badrinath ki dhania. Now in this film, she will be seen in a never-before-seen avatar. She is playing an innocent Kashmiri girl who makes the transition to spying for her country after being married off into a Pakistani officer’s family. The film is based on the novel Calling Sehmat, written by Harinder Sikka, in this novel, a story about a Kashmiri spy married to a Pakistani man during the Indo-Pakistani War of 1971. The film is scheduled for release on 11 May 2018. Three posters of this film have released now. Here we share also some images, looks and wallpapers of Raazi movie. Alia Bhatt portrays three distinct but powerful facets of her character in the film.